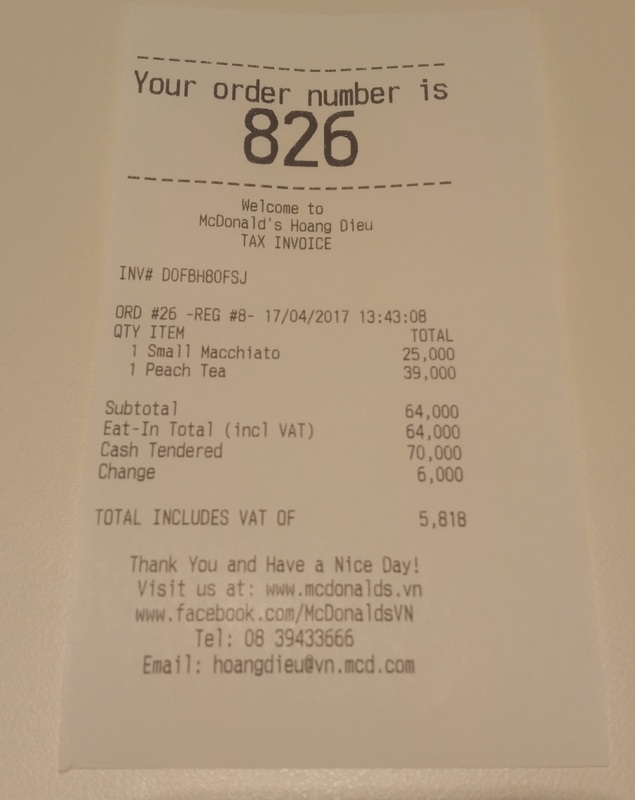 I tried both of these items on a trip to Vietnam back in April, both weren't planned, and not all that exiting to me, so it's a perfect opportunity for them to be featured in a short review. I want to keep this one short I just flew 14 hours overnight back to Bangkok this morning, then put in a full day at work, so I'm both tired and jetlagged and would prefer to keep this short. I'll start with the Peach Tea as I tried that one first. A colleague and I wanted to find somewhere quiet to sit and do some training for an hour. 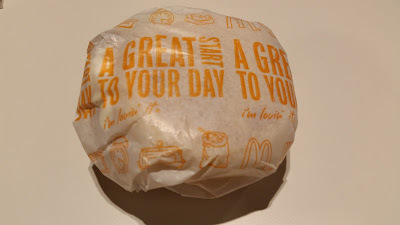 All the meeting rooms in our office were booked, so we ventured down to the McDonald's that is in the same building as our office. 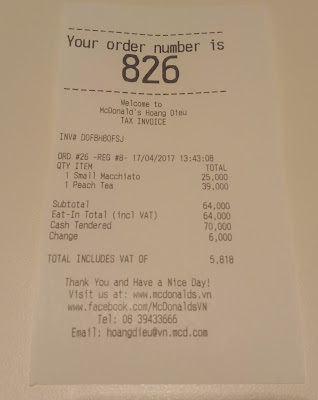 It was nearly 2pm and I had already had countless cups of Vietnamese coffee that morning, so the McDonald's cup wasn't a good choice. 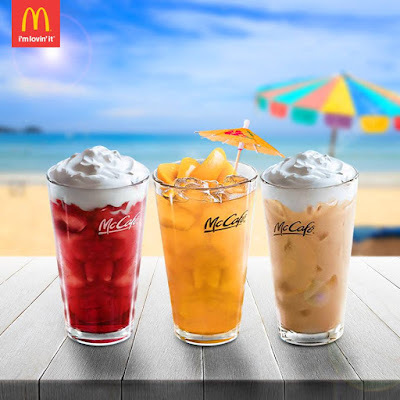 So rather than getting Coke Zero, I tried opted to try one of their new "Summer" range of drinks, Strawberry Tea was an option, but Ice Coffee was out of the question. I chose Peach over Strawberry simply because it didn't come with whipped cream on top. The cup that was served actually looked rather pleasant, it was served in a tall McCafe glass (although this was on the non-McCafe menu) and the four Peach quarters on top were both large and looked tasty and nearly identical to the photo. The big problem here was that I watched them make it, and that was a big mistake. This wasn't tea, this was a glass of ice water mixed with six, yes six, pumps of syrup from an unmarked bottle, and the peach peaches scooped directly out of a tin can. 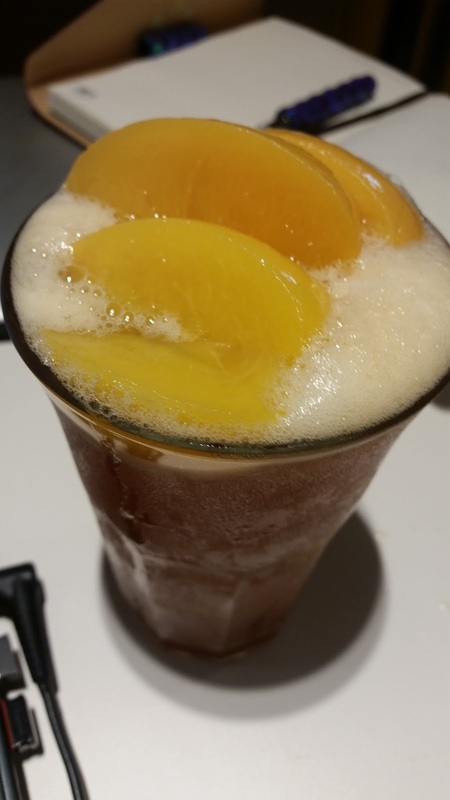 I also have no idea why my drink started foaming the way it did, as it wasn't made with anything carbonated so after a reluctant single sip, I left pretty much the full glass on the table. I took a bite of one of the peaches just to double check, and they were exactly like I though - Made in China tinned Peaches (even those fruit cups in the US are usually made in China). 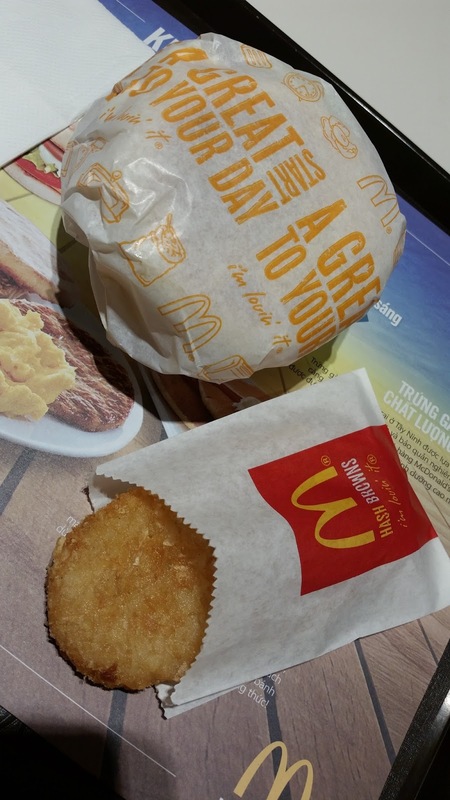 The following morning The Wife wanted food after skipping missing mediocre hotel breakfast. We had been eating street Banh Mi for the previous 4 days, and apart from that there wasn't much else around our office for a quick breakfast, so she decided to get a McMuffin. 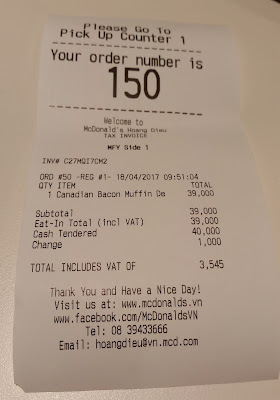 I couldn't tempt her to try the Banh McMuffin I enjoyed a few months prior, so she went with the Canadian Bacon McMuffin, as I thought it might be something unique to Vietnam, and worth reviewing for the blog. What was served was a Egg McMuffin that swapped the Egg for some veg, which would normally be a plus for me, but in this case there were three squirts of mayo on this single Muffin, far too much for both me and The Wife. 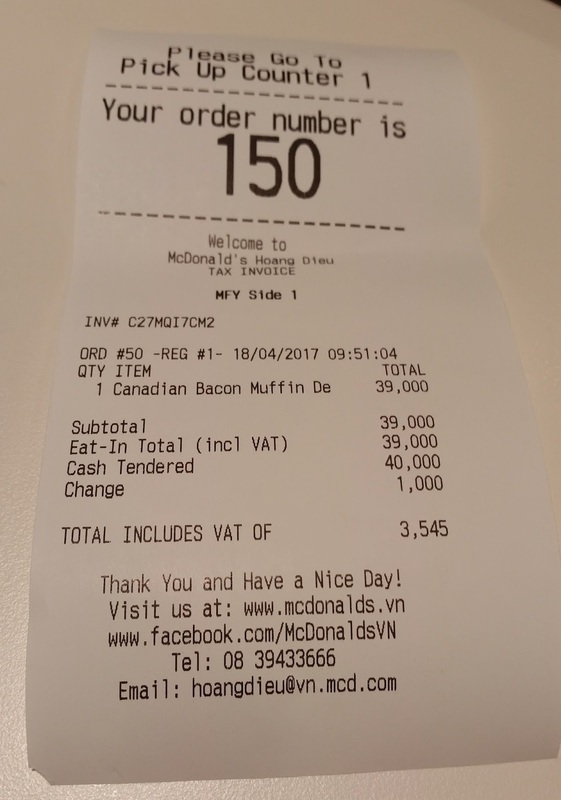 Even the "bacon" was the standard slice of ham, which I expect probably wasn't even sent in from Canada. 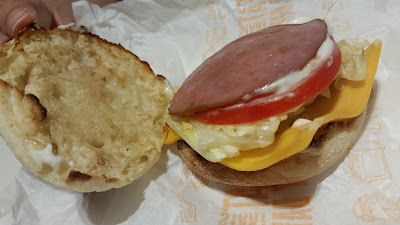 The BLT McMuffin from Australia I had a few years ago had a much better attempt at Canadian bacon, even if it wasn't being called Canadian. 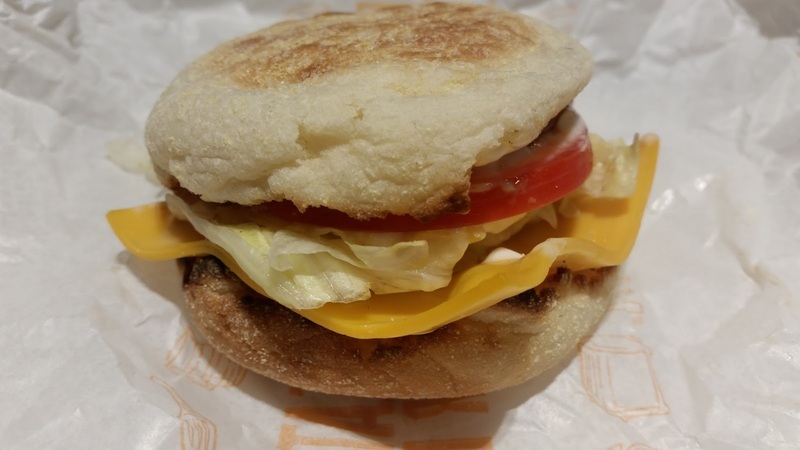 Strangely enough, the other BLT McMuffin I tried in Korea was identical to this Vietnamese McMuffin, swapped the Egg for Veg, but at least there it had a reasonable amount of mayo. I had one or two bites, and she couldn't even finish the rest, which meant we needed to go have an early lunch. I haven't had the chance to get to review that many McMuffins over the years looking back . 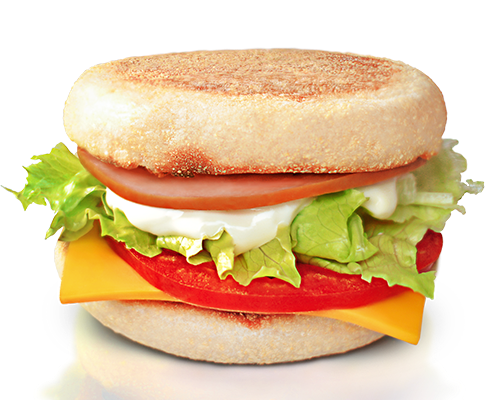 But some of the few memorable ones were the Halloumi Cheese McMuffin in Oman, and the Tuna McMuffin from Japan.